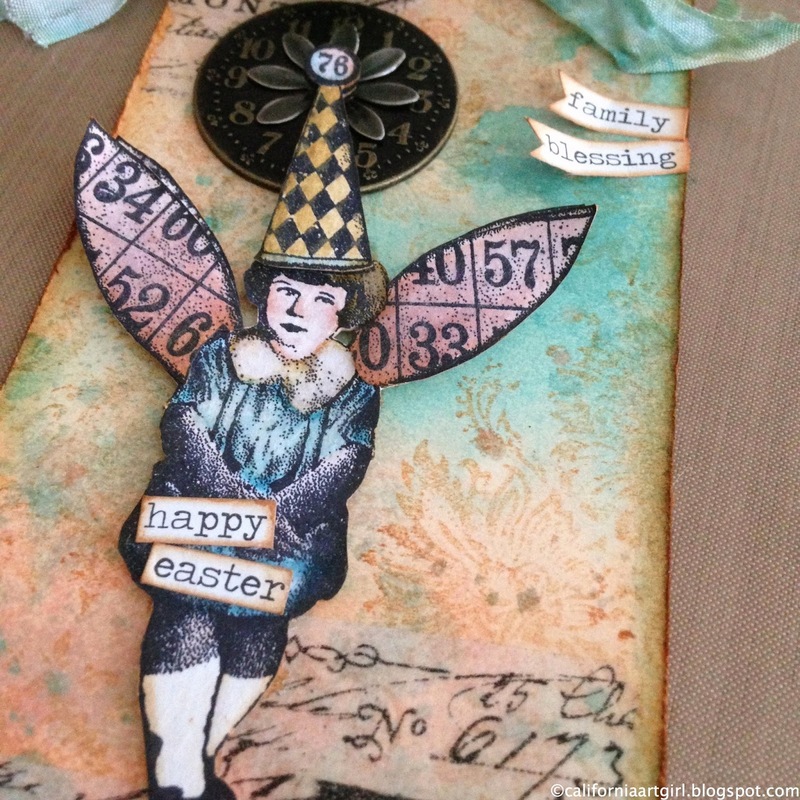 Easter Hunt with Inspiration Emporium! I hope you all had a fabulous Easter! We spent most of the day with family! 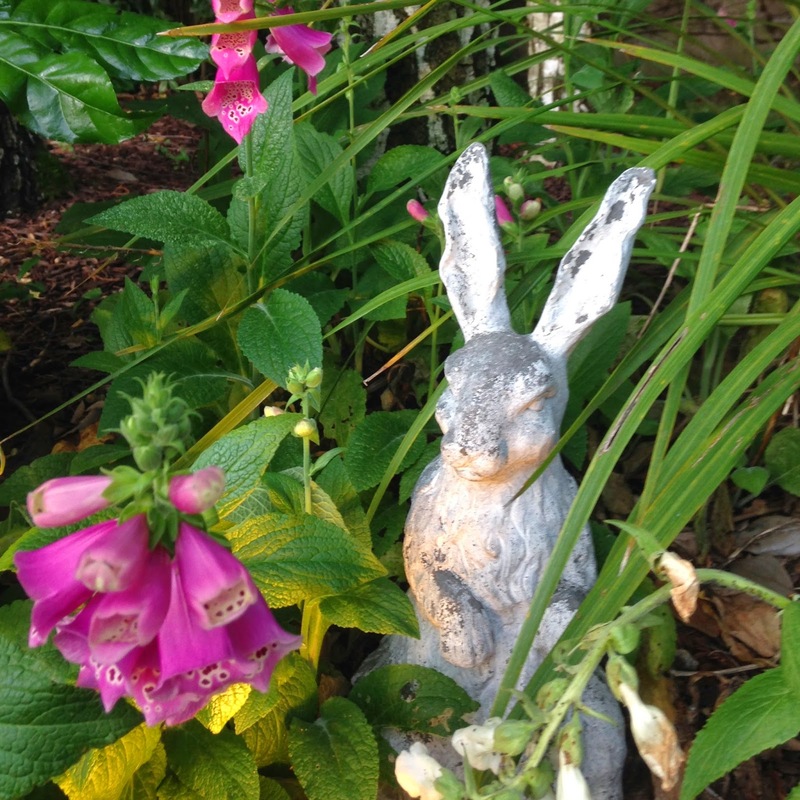 My grandchildren were so excited for the Easter Egg Hunt finding eggs, candy and treasures… oh to be young again! 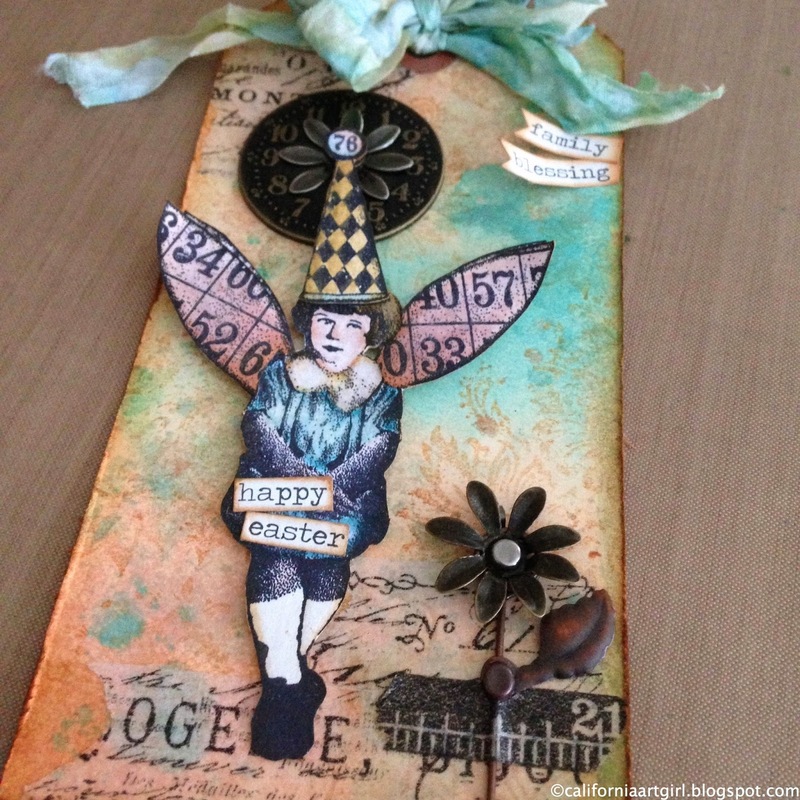 I'm so excited to be a part of the Inspiration Emporium Easter Hunt. You can find all the detail over on their blog. 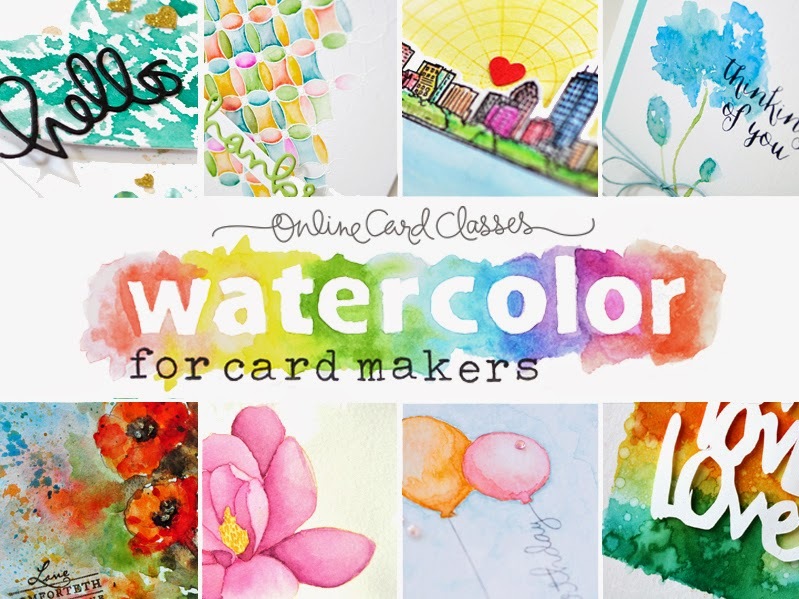 It's not too late to join in and Inspiration Emporium is giving away THREE spots for this incredible online class Watercolor for Card Makers with Jennifer McGuire and friends!!! All you need to do is play along for a chance to win! Stamp the little girl twice from the Winged Things 1 set with Jet Black Archival Ink onto Watercolor Cardstock. Color with Distress Markers and blend with the Detail Water Brush. Cut her out with scissors. 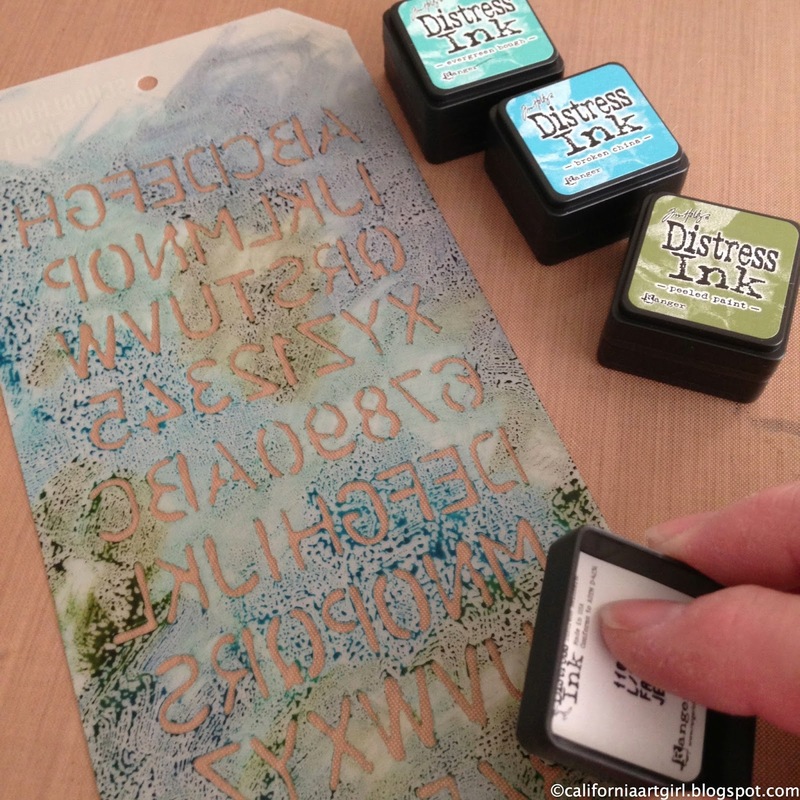 Ink the edges with Tea Dye Distress Ink on an Ink Blending Tool. 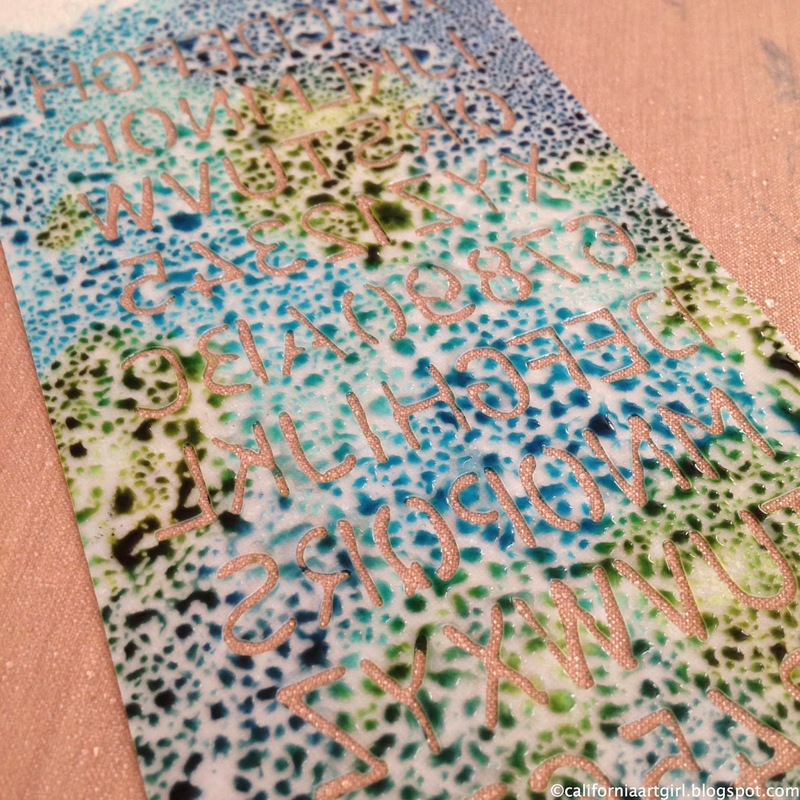 Create the background on you tag with the wrinkle free technique. 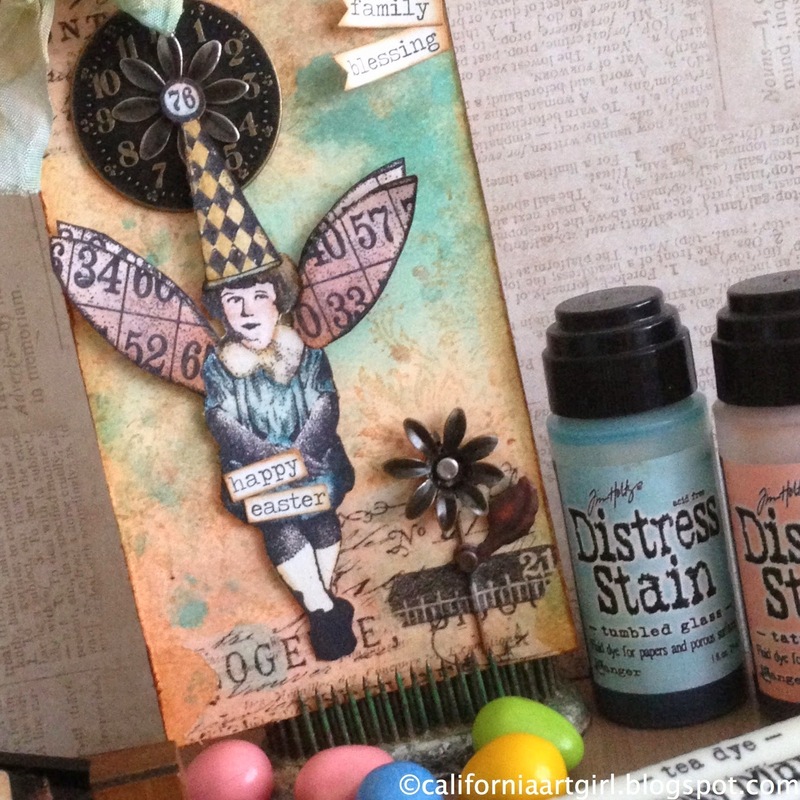 Apply Tumble Glass and Tattered Rose Distress Stain directly to your Craft Sheet. Mist with water and swipe Tag through the ink. Dry tag and repeat until desired look is achieved. 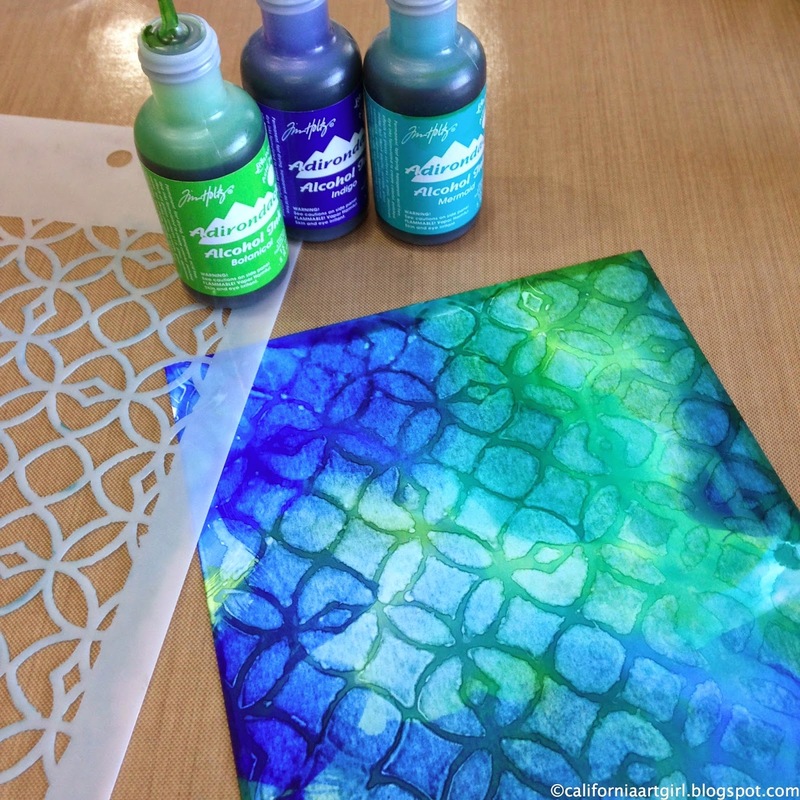 Stamp the Damask with Tea Dye Distress Ink. 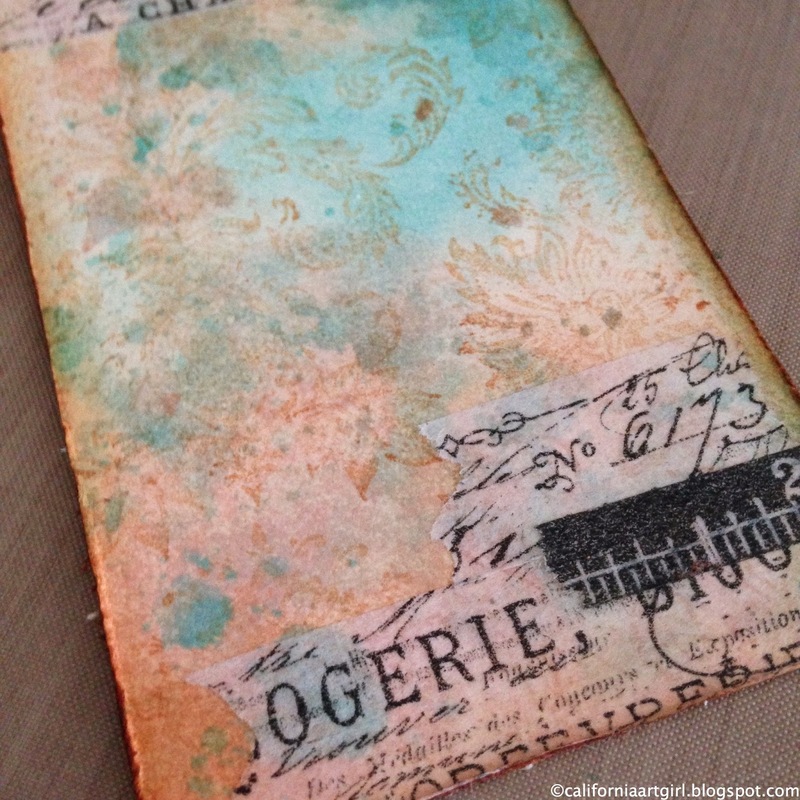 Ink the edges with Tea Dye using an Ink Blending Tool and add a few pieces of Tissue Tape. 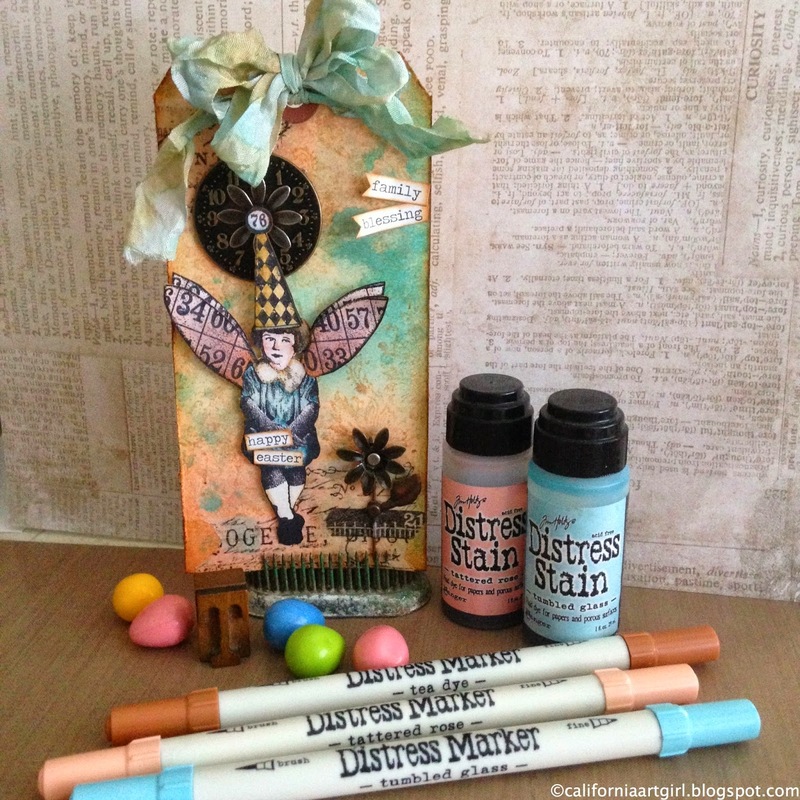 Color Crinkle Ribbon with Tumble Glass Distress Stain applied directly to your Craft Sheet. Mist the Crinkle Ribbon and pick up the ink with the ribbon. 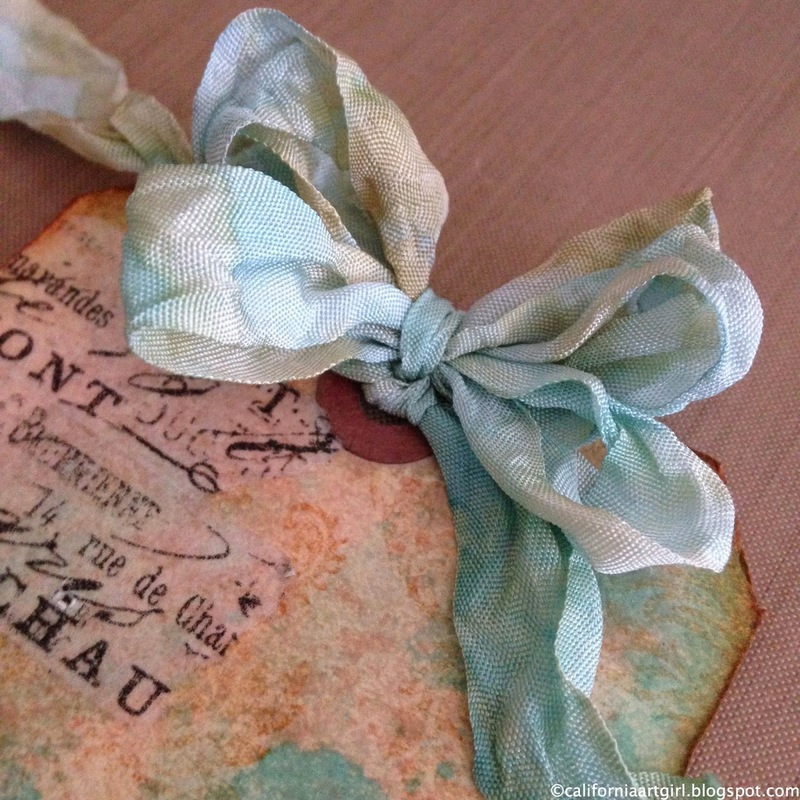 Add a little Tea Dye Distress Ink to give the Crinkle Ribbon a vintage look. Dry the ribbon with a heat toll and as it dries scrunch up the ribbon for that crinkled look. Tie a big bow to the top of the tag. 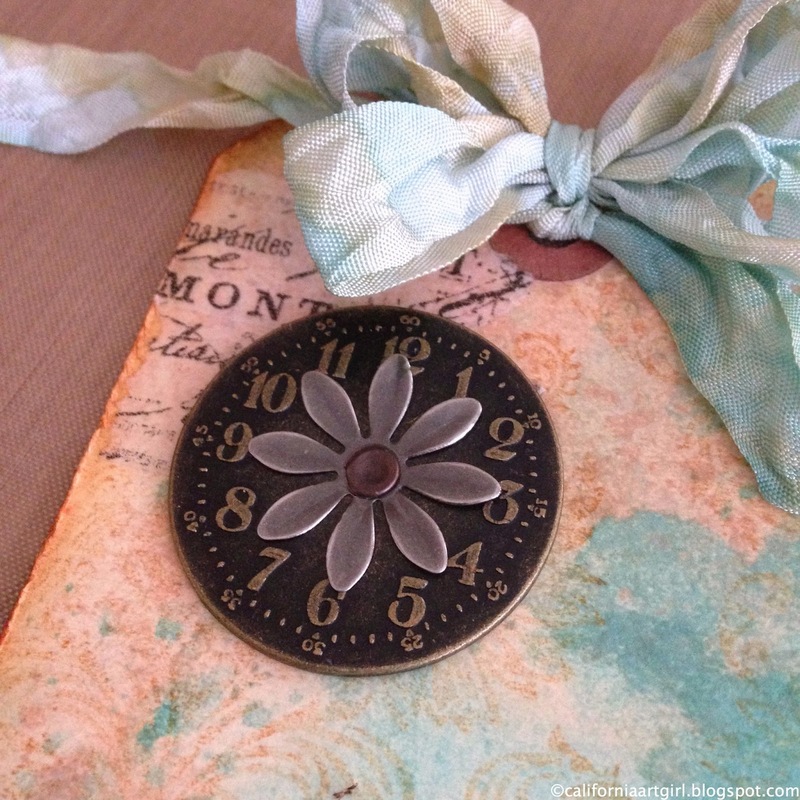 Add the TIme Piece and Foliage to the tag. I flattened the flower with a hammer. Attach the little girl to the tag with foam tape. Choose some Seasonal ChitChat. Trim as desired, ink the edges and adhere to tag. 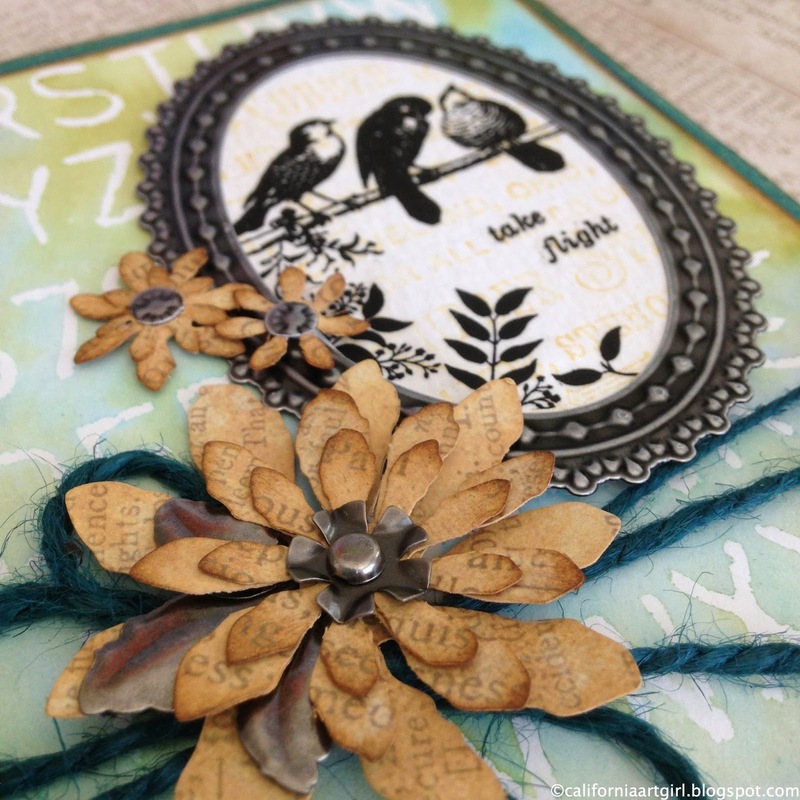 Attach the Foliage Flower and Leaf to a Memo Pin and add to Tag. Well have you guessed what letter I have. Yes it a "T". I tried to use products that started with the letter "T". I don't think I would have put these colors together, but I do love how my project turned out. Now you have collected your next letter HOP over to Heather's Facebook page to continue on the journey! Remember it's not to late to get started find all the details here. Don't forget to leave a comment before you leave. Thanks so much for hopping by! Enjoy your day and good luck! Thanks so much for all your lovely comments. I wish you all could win. 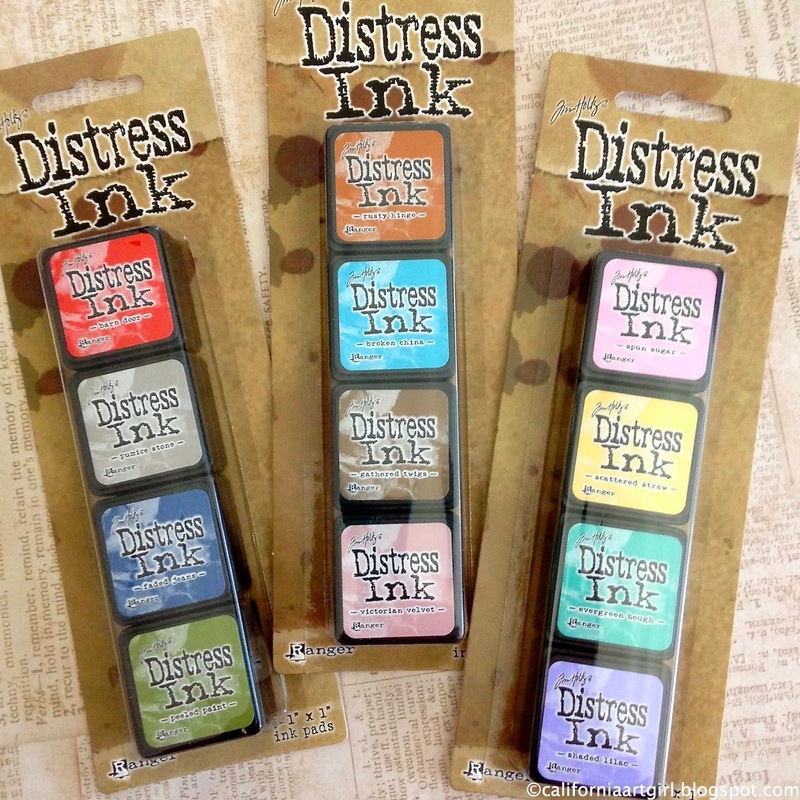 The winner of the NEW Mini Distress Inks is……. Oh these are so fun... gonna try this ( oh no I only have set #3) guess I'll be shopping for more very soon. I love the combination of colors ... got my storage case all picked out!!! They are just such a cool size ... now I can carry more colors with me without feeling like I'm taking the "house" ... LOL !! Light bulb moment... I'm gonna go make that card ... I've got those colors in large pad with little blending tools :) !!! Please email your address to californiaartgirl@me.com and I will get your Minis in the mail. You're going to love them! Have a great weekend and a Happy Easter! Hello friends…. Hope your week is going well! 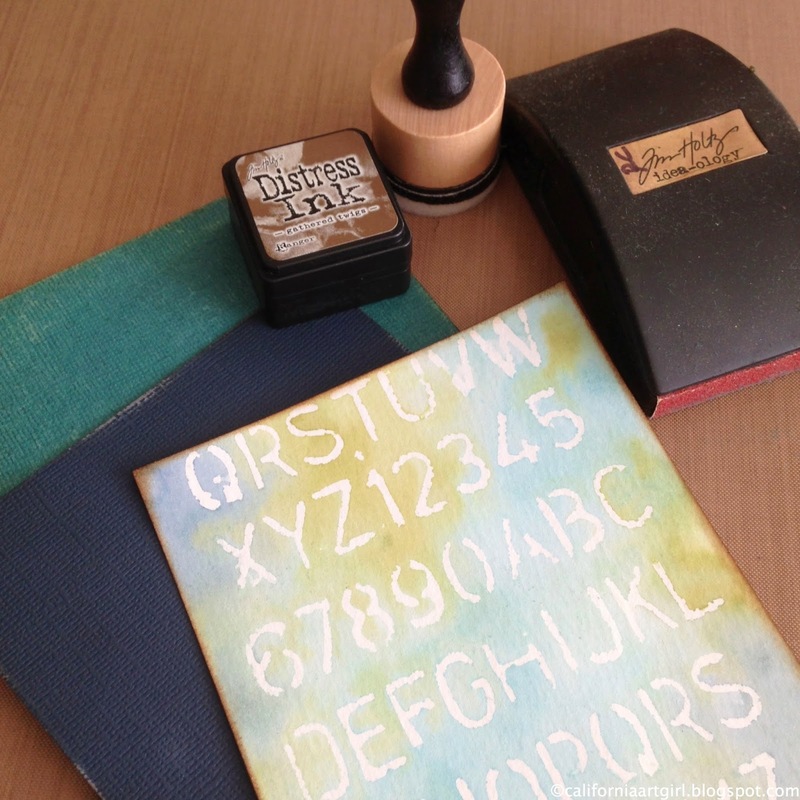 I'm very excited to be over on the Simon Says Stamp blog today with this awesome technique from the Tim Holtz Creative Chemistry 102 class called Faded Layers. 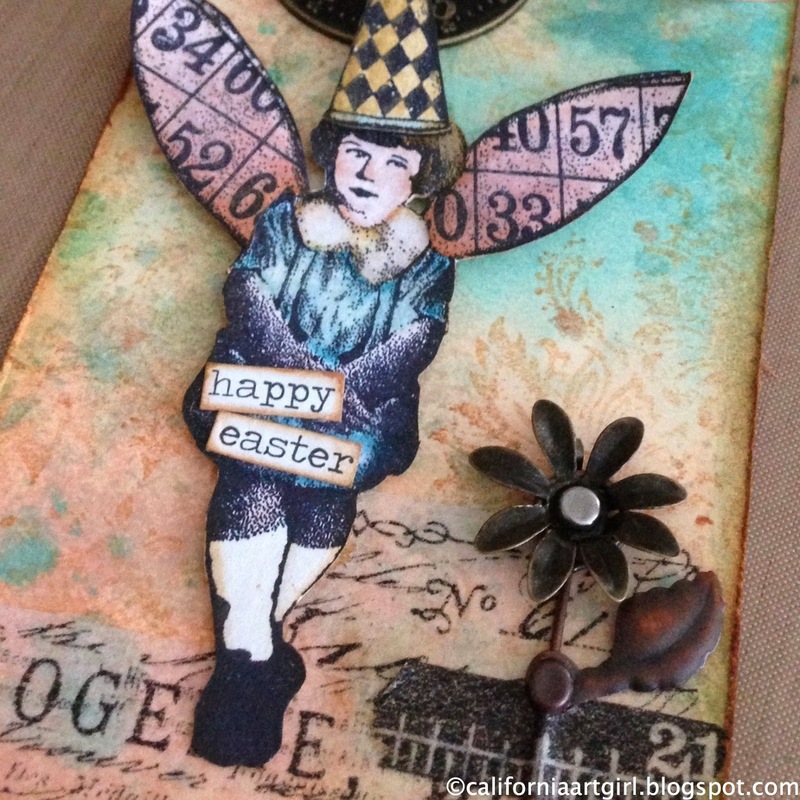 The Creative Chemistry Class series is a great way to learn lots of techniques for all your Tim Holtz products. Here is a peek at the background I made for my cards. 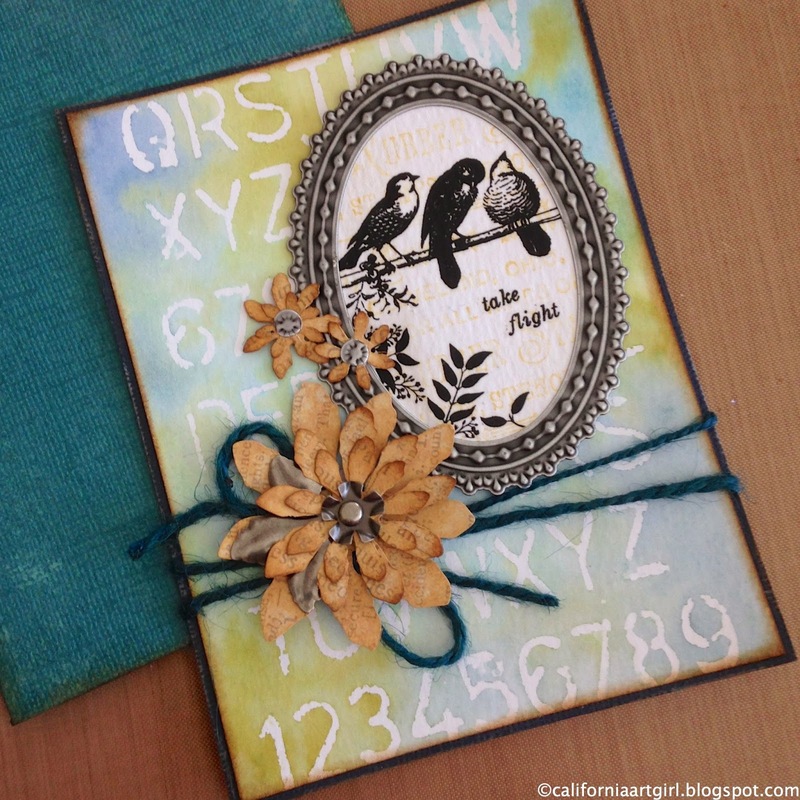 Head ove for the full tutorial on Simon Says Stamp Blog! 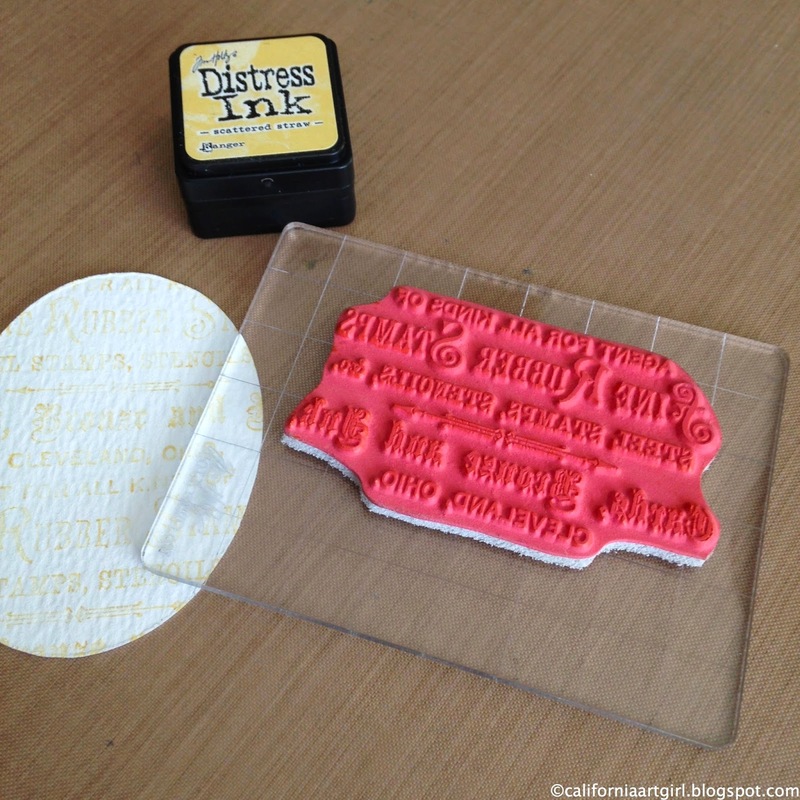 Don't for get to leave a comment on yesterdays post for a chance to WIN a set of the new Mini Distress Inks! Have the best day ever. Thanks so much for stopping by! 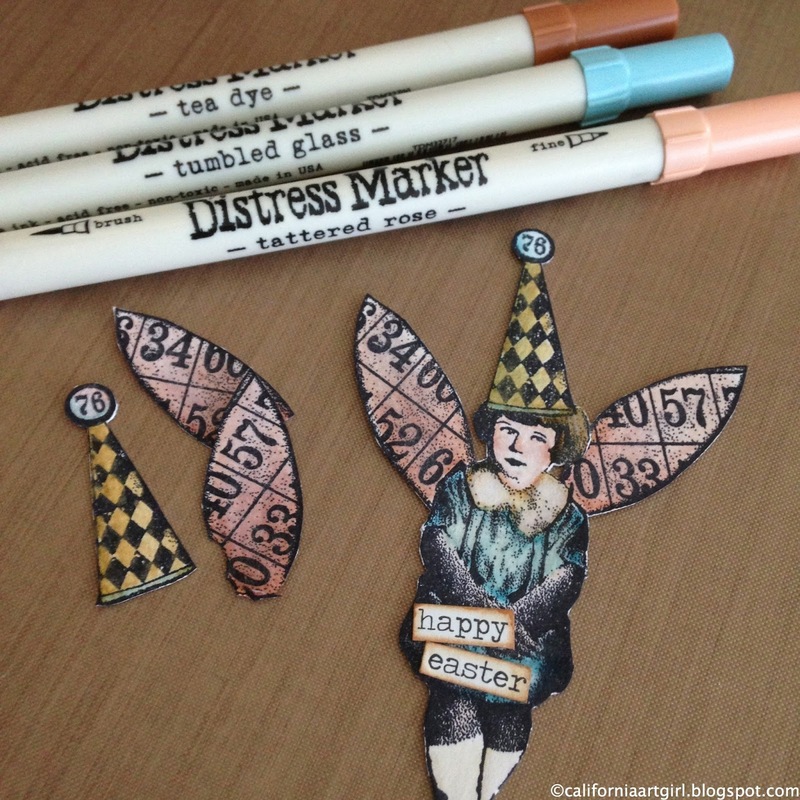 Mini Distress Ink and a GIVEAWAY!! Hi friends…I'm sure you've heard about the new MINIS!! Right! There is now 12 more to LOVE!! I know what you're saying. I already have the bigger ink pads. Well I'm here to tell you that there are many things that are great about these little gems. They're great for carrying to a crop or to a friends house for play time. So compact! Easy to handle for inking your favorite project. The Minis are the perfect fit with the Mini Ink Blending Tool. They are great for the technique I'm going to show you… and they're also awesome to GIVEAWAY!!! So don't forget to leave a comment at the end of the post for a chance to win your very own set.. Here are all the available colors. Which is your favorite? It was so hard for me to choose so I got them ALL. 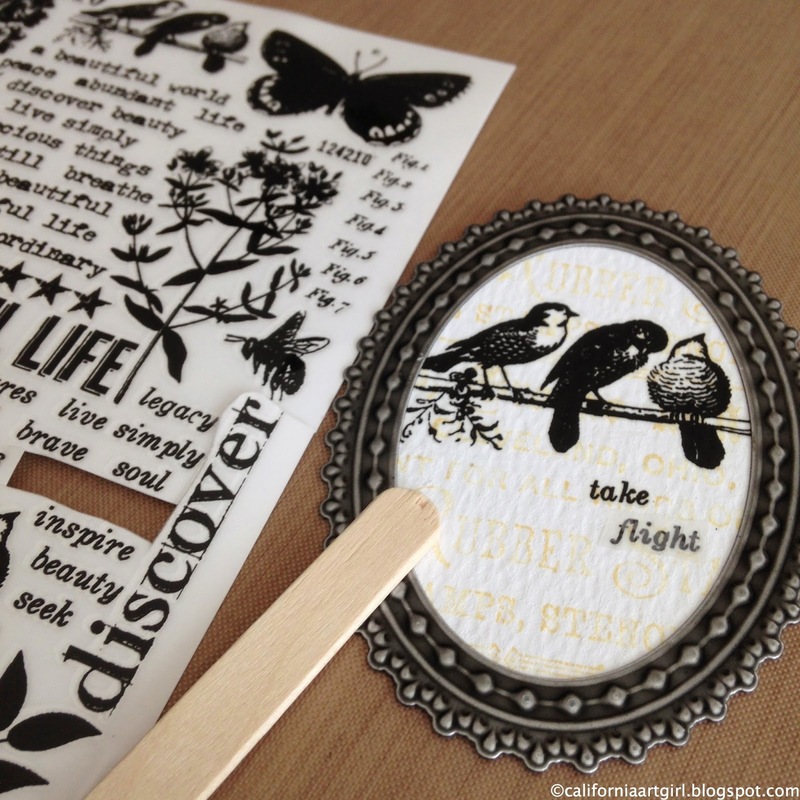 Our project for today features mono printing with a Layering Stencil using the Mini Distress Inks. This technique is in Tim's "A Compendium of Curiosities" Volume III. The book is filled with tons of techniques and inspiration!! 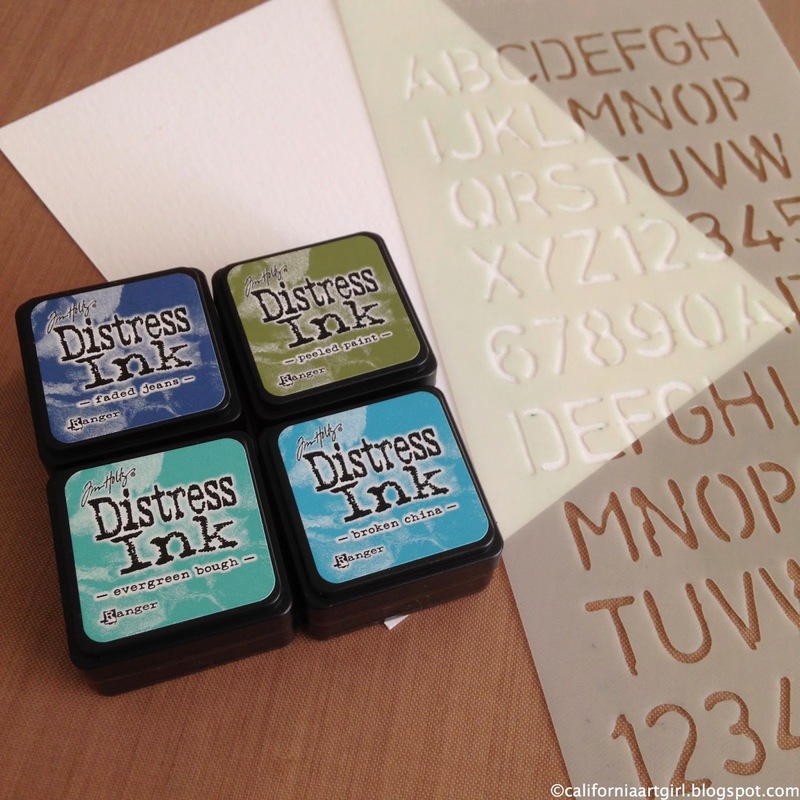 Choose your colors of Distress Minis and Layering Stencil. Apply ink directly to the BACK of the Schoolhouse Layering Stencil. Start with the lightest color so not to contaminate your ink pads. These Mini Distress Inks are perfect for this technique. Generously mist the ink with water. 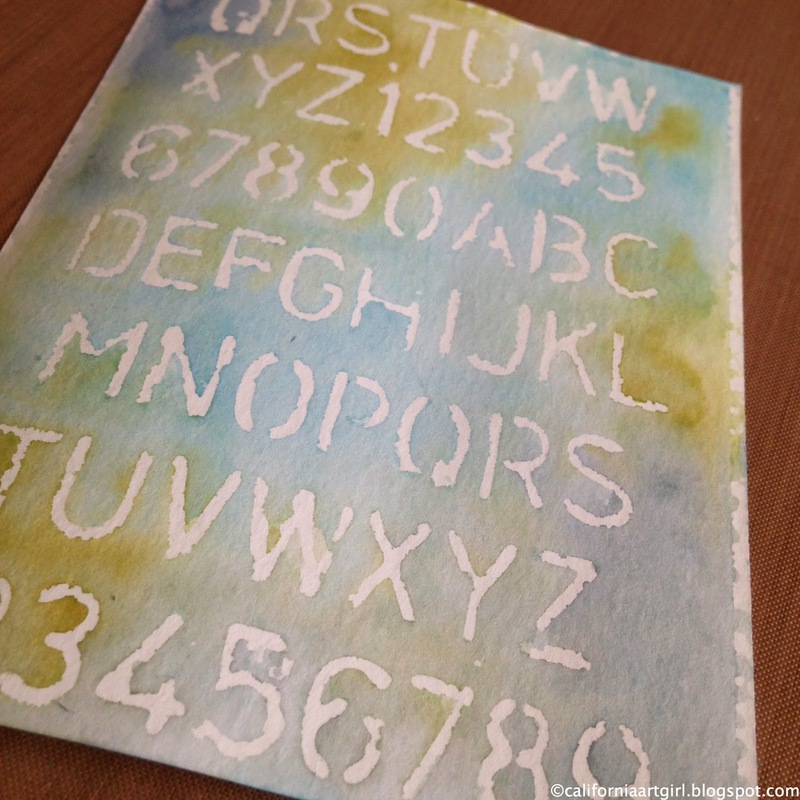 Gentle press the stencil onto a piece of watercolor cardstock or Manilla works great too. 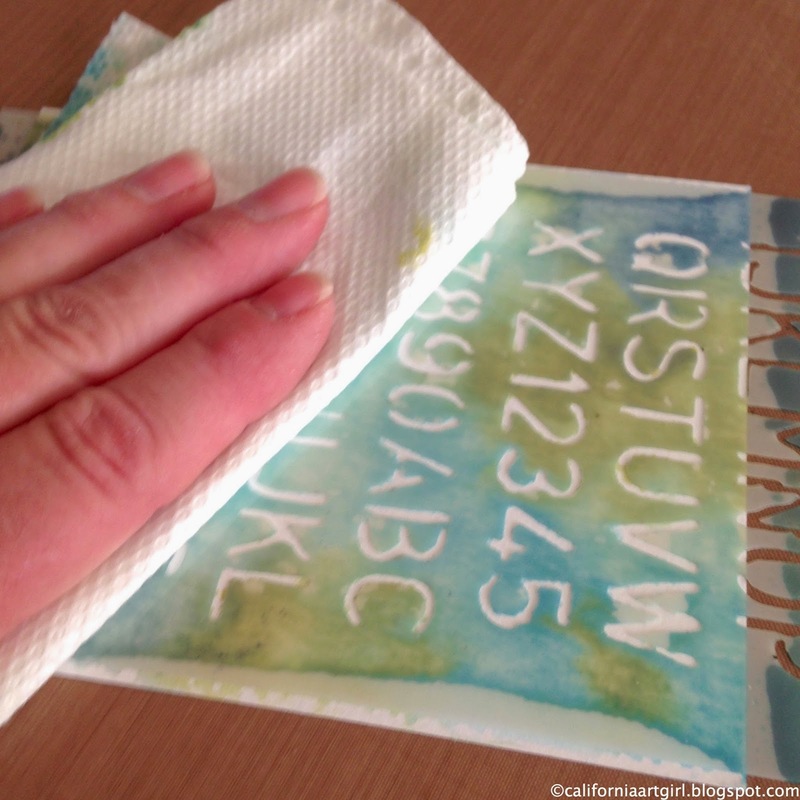 With the stencil still in place blot off the excess ink with a paper towel. Slowly remove stencil, blot with towel if necessary and let dry. Here are a couple background combinations. 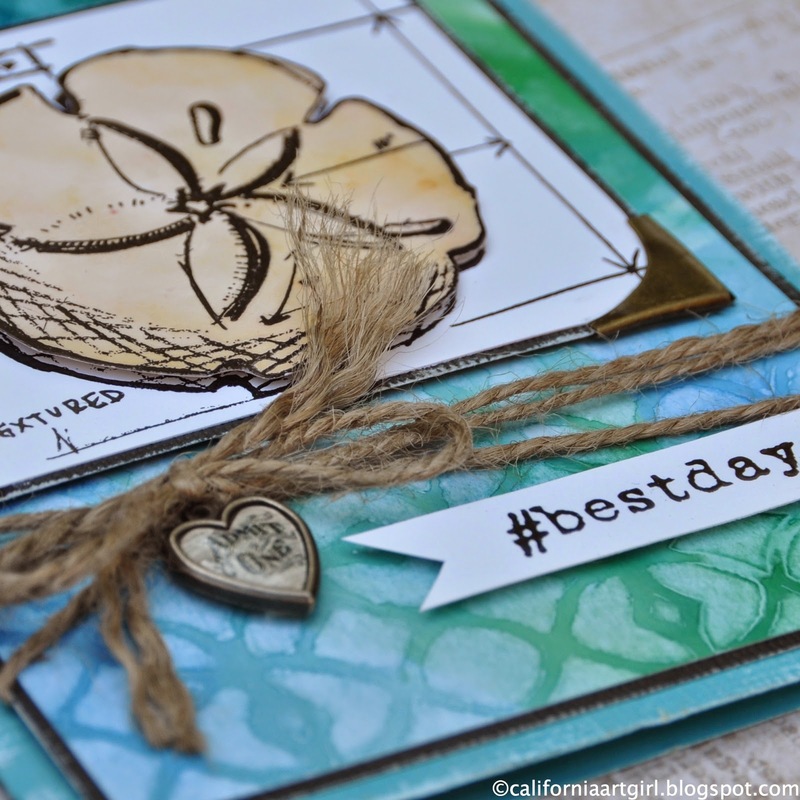 Sand and ink the edges with a Gathered Twigs Distress Ink on a Mini Ink Blending tool. Cut a small oval to fit the Industrious frame. 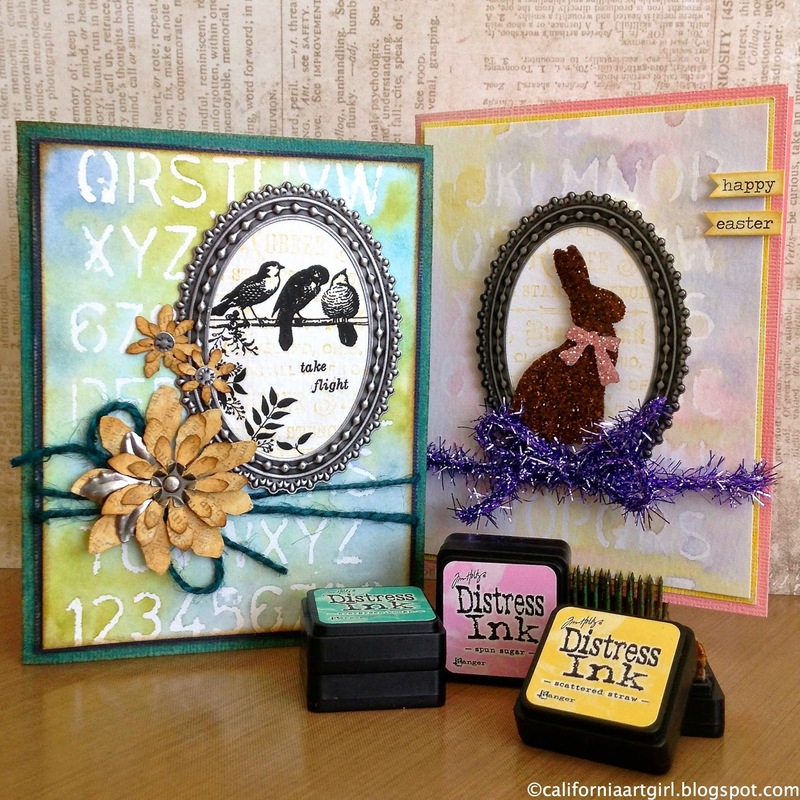 Stamp a little background text with Scattered Straw Distress Ink. Add a few Botanical Remnant Rubs to the oval. It's easiest to cut the Rubs out, position them and then rub them into place. I love this background to showcase my little birds. With the softer background I made an Easter Card. 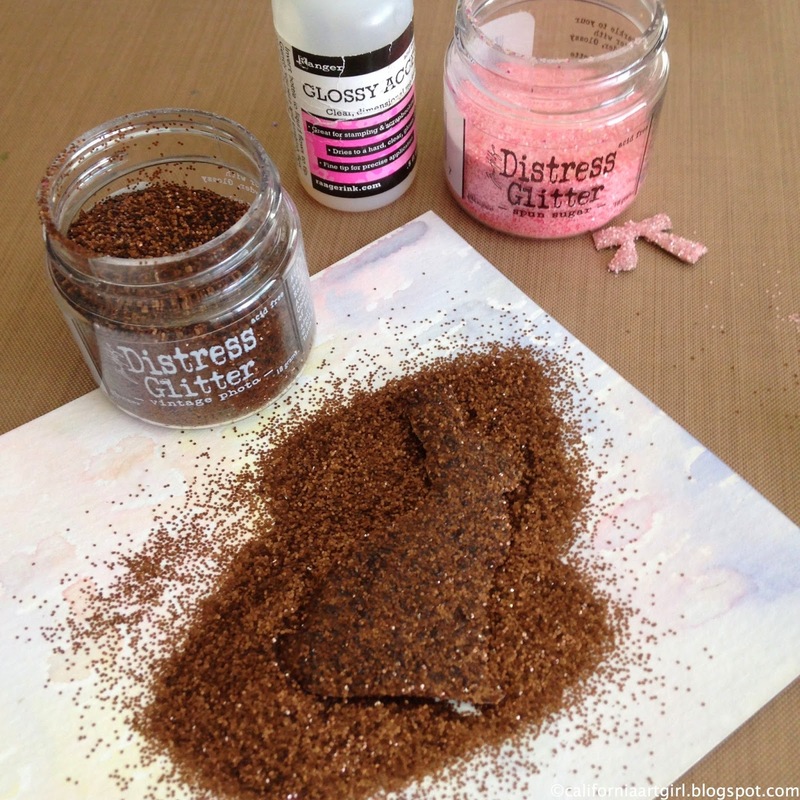 All the steps are the same, just add the bunny after you apply the Distress Glitter. 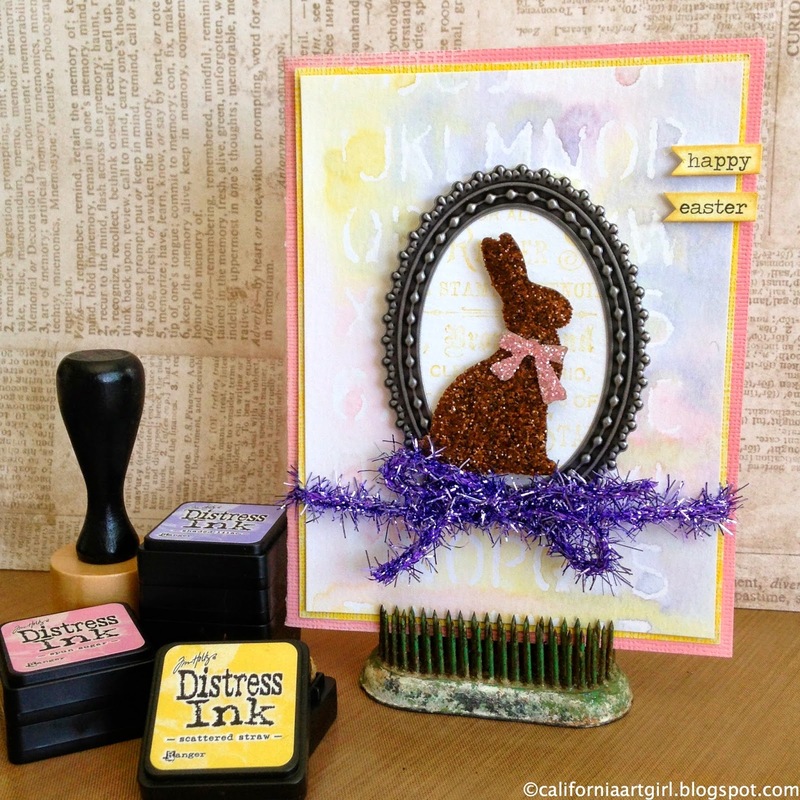 Use chipboard to die cut the Mini Bunny and Bow from the Movers & Shapers Magnetic die set. 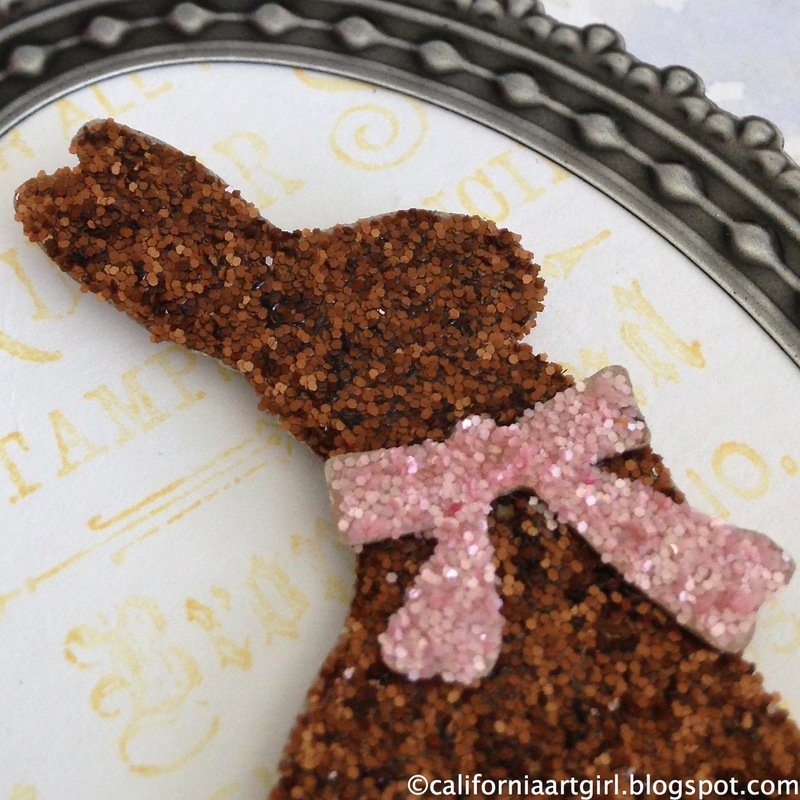 Apply Glossy to the Bunny and Bow, poor Distress Glitter over them, shake off the excess and let dry. Isn't this the cutest bunny every! 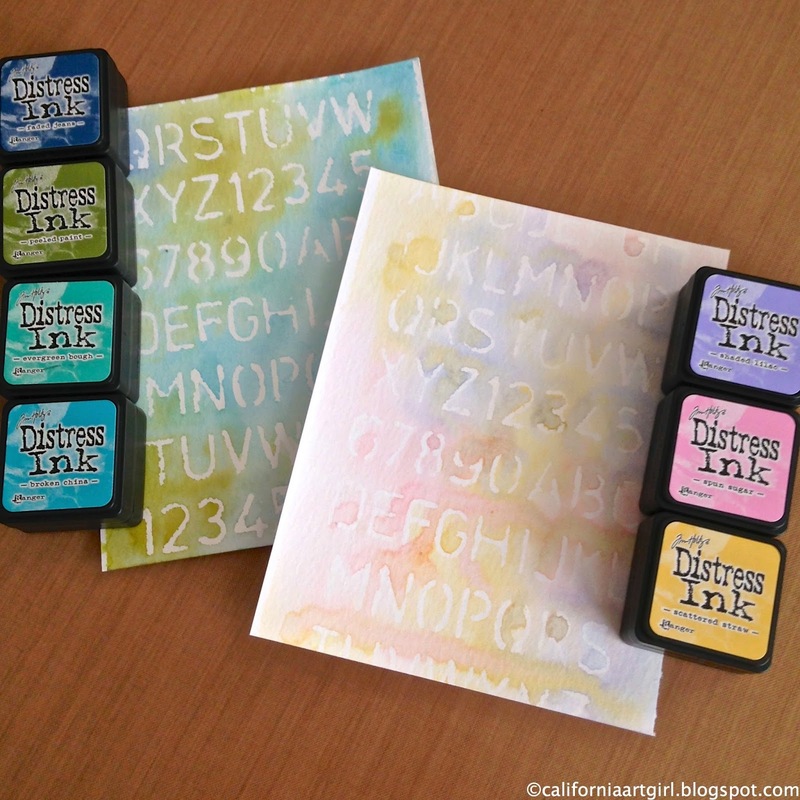 Here are the Mini Distress Inks! You know you want them so leave a comment by April 17th at midnight PST and I will announce the lucky winner Friday morning for these little gems! Here are all the color sets.